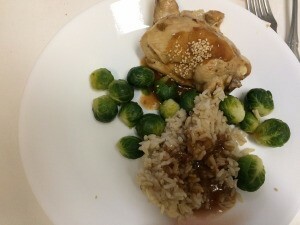 This guide contains a pressure cooker Chinese simmered chicken recipe. Pressure cookers, such as the Instant Pot, are all the rage right now. This yummy chicken recipe has just the right amount of sweetness and spice. Give this quick and easy dish a try. Another winner from my Instant Pot Facebook group. 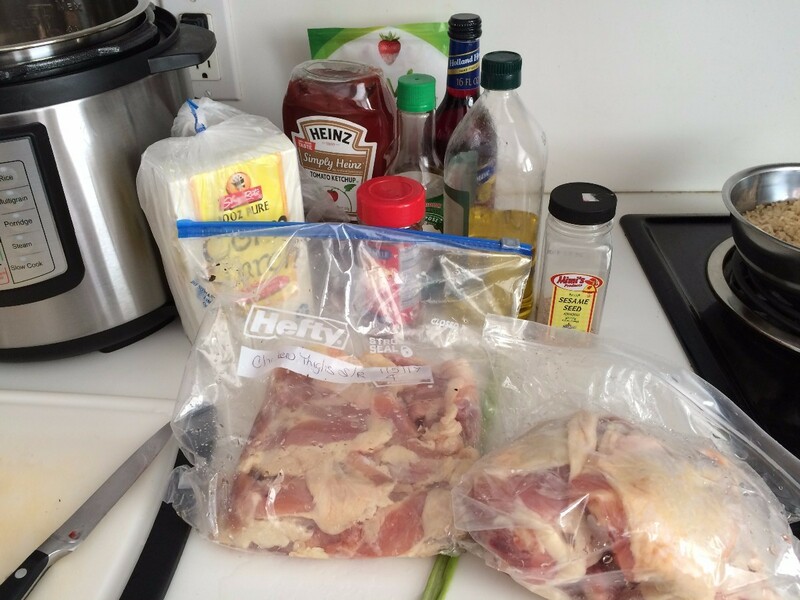 I used chicken thighs, but you can use any chicken pieces you want. 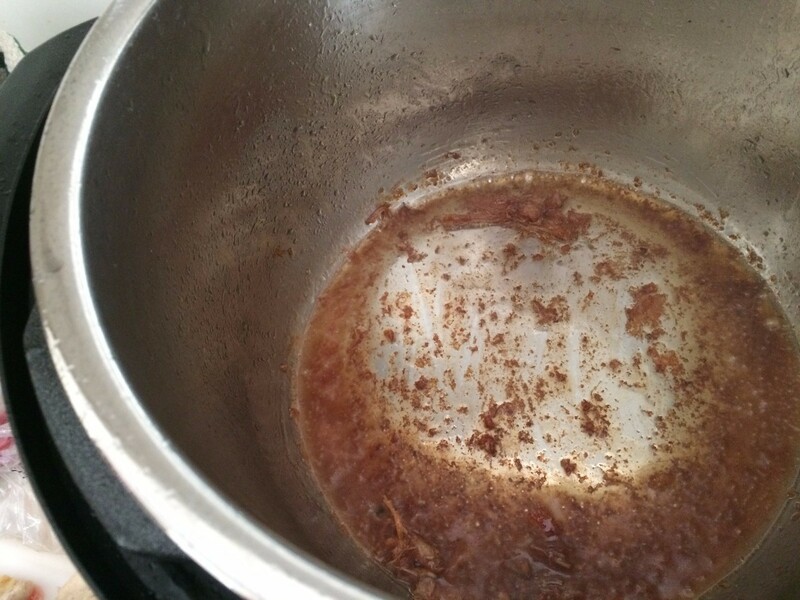 This can be made in a stovetop pressure cooker, if you don't have an Instant Pot. I have read that stovetop cookers cook at higher pressure, so reduce the time by a few minutes. 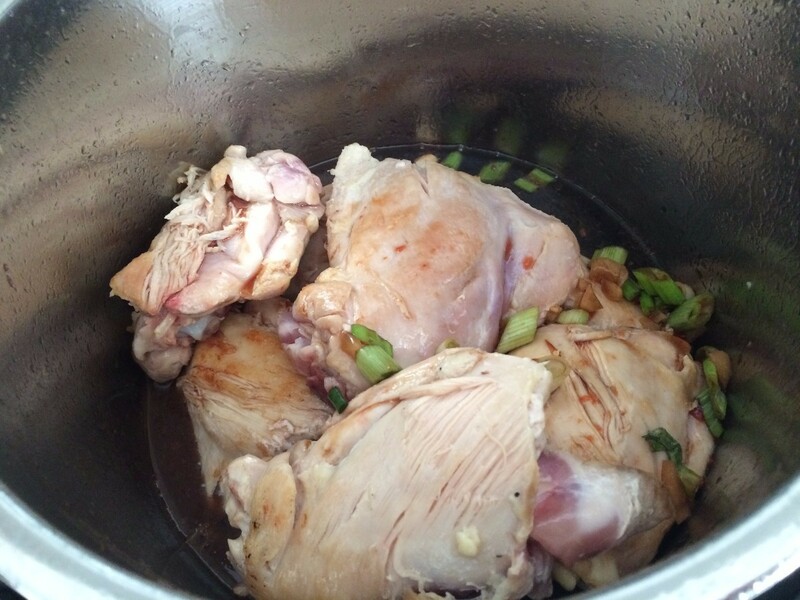 Remove skin and fat from chicken. 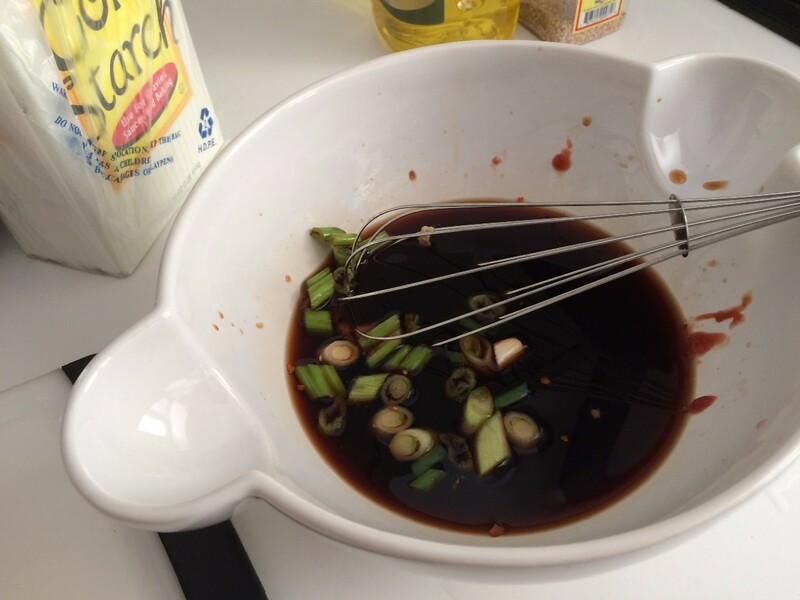 Combine soy sauce, brown sugar, water, ketchup, red pepper flakes, garlic and scallion and whisk together well. Select sauté or browning on your pressure cooker and allow to full heat. 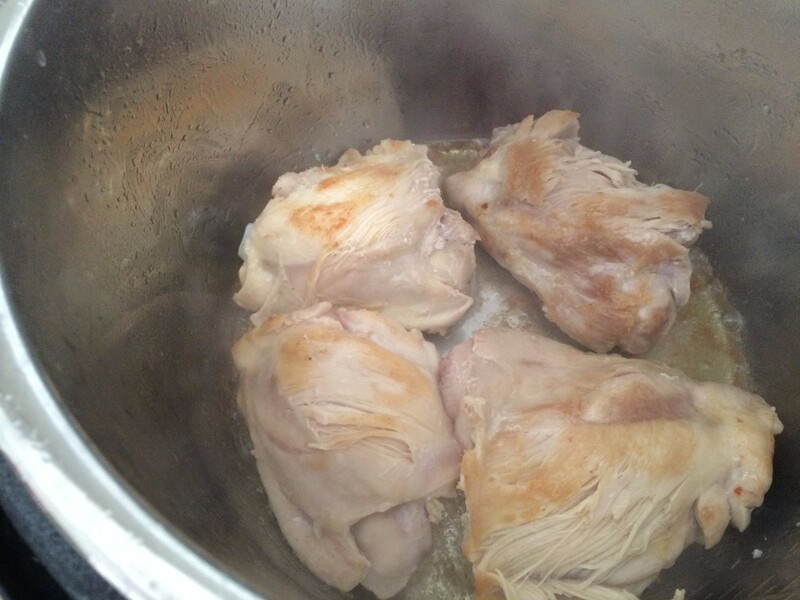 Add 1 Tablespoon of oil to pressure cooker cooking pot and lightly sear chicken pieces, doing the dark meat first, if you have any. Deglaze the cooking pot with the sherry and then add the sauce and mix through. Lock on lid and close pressure valve. Cook at high pressure for 6 minutes. Use 15 minutes of natural pressure release. Turn off pressure cooker and then select sauté or browning button. 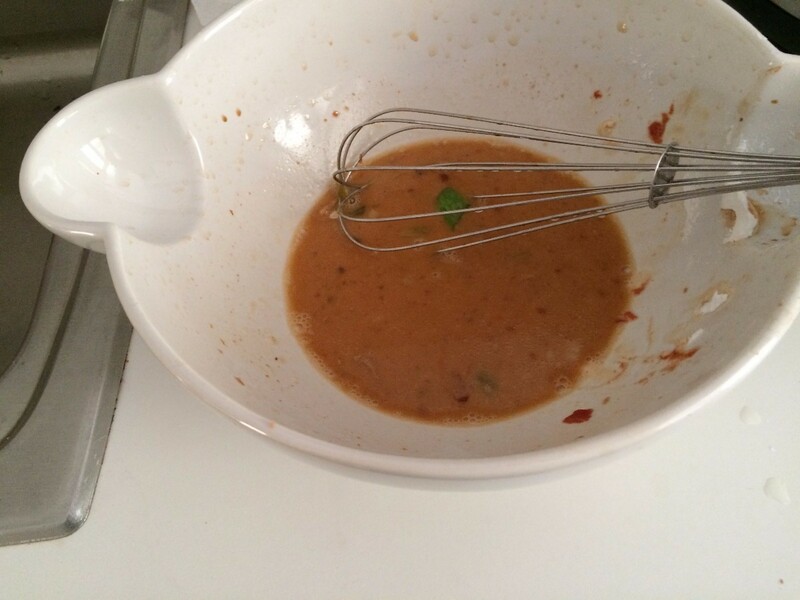 Remove 1/2 cup of sauce, add corn starch or potato starch and whisk until smooth. Add the cornstarch mixture and mix it in. 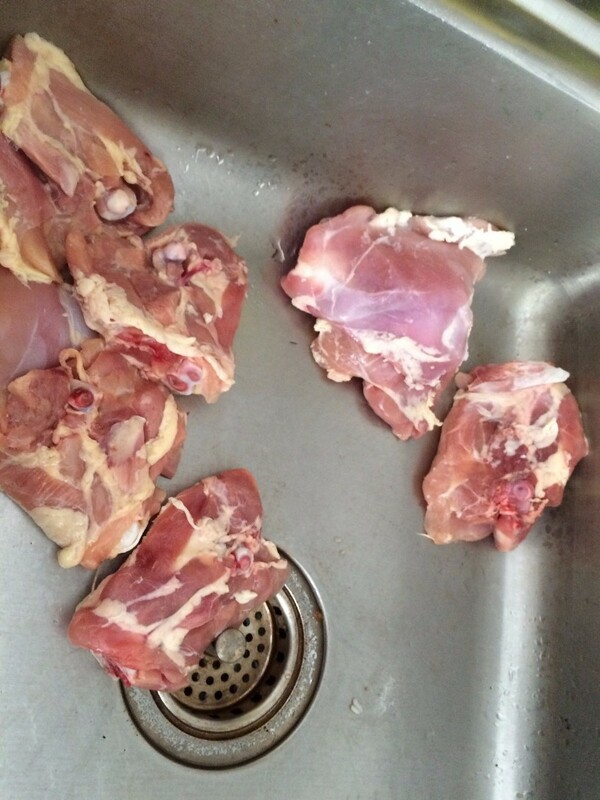 Remove dark meat chicken, if you used it, to the platter. 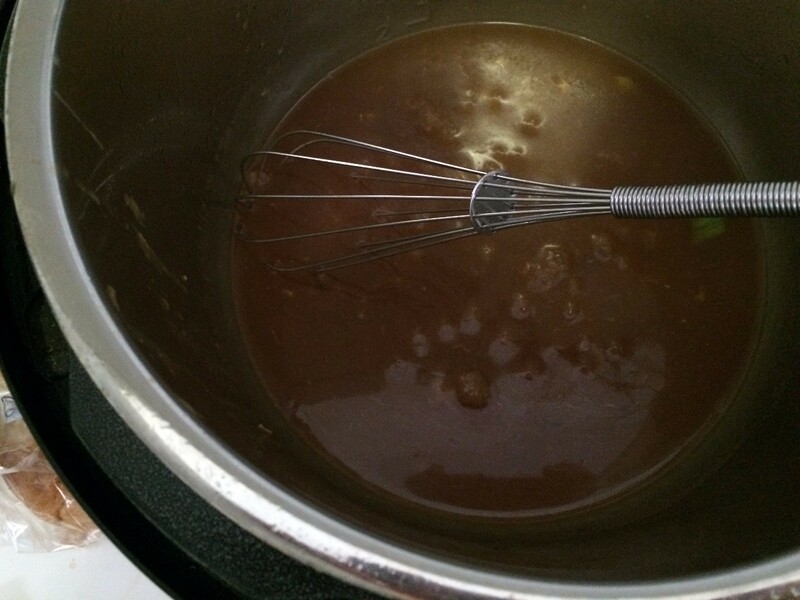 Continue whisking until sauce is sticky and thick. Pour sauce over chicken and garish with toasted sesame seeds, if you used them.